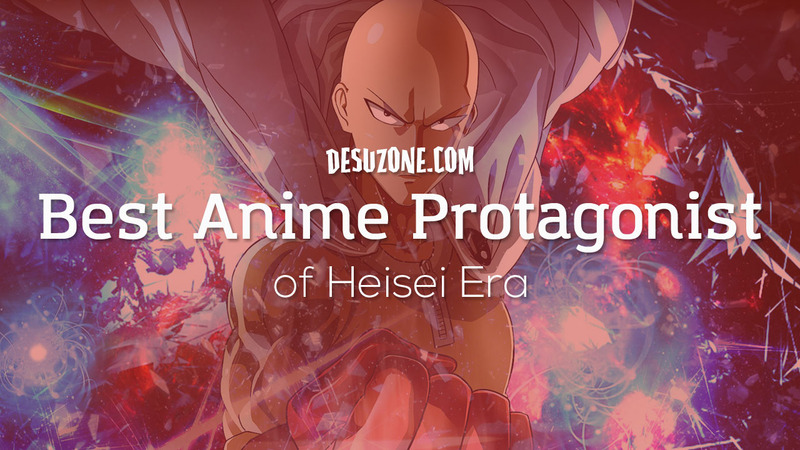 Top 20 Best Anime Protagonist of Heisei Era – Desuzone '+g+"
The hero always exist in heroic story. In many story, the hero is the protagonist itself. Sometimes, they train theirself to growth and become stronger. However, there are some invincible heroes who have the strongest capability from the beginning, and nearly undefeated. 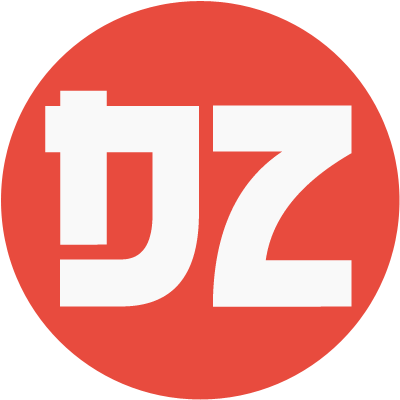 This time, Goo Ranking ask Japanese fans to choose the best anime protagonist of Heisei era. The list based on how strong the hero / protagonist in their story. The One Punch Man's Saitama is the winner. He is known as the strongest character in his story, with just one hit, the enemy defeated. The only one his weakness is mosquito. 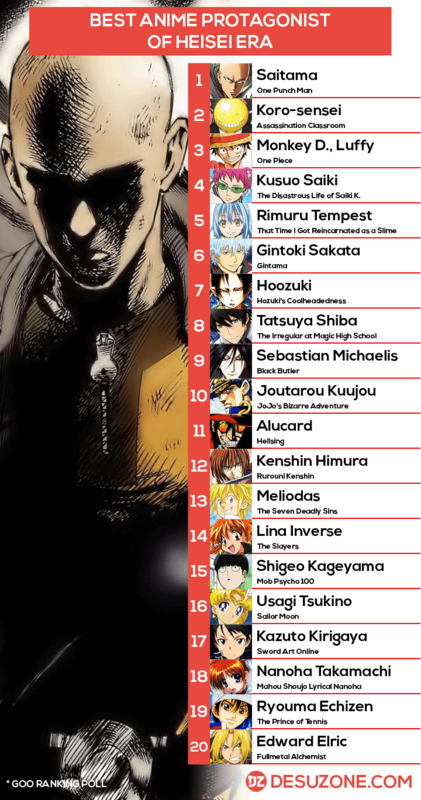 Koro-sensei from Assassination Classroom in the second place, followed by Monkey D. Luffy in the third place. See also The Most Evil Anime Villains!